Professionals stay powered up and connected anywhere and drive productivity on the go with Dell Latitude E6510. It is a business laptop with super reliable security, featuring an integrated Intel HD Graphics that provides clear distinct resolution in 15.6″ Display, enabling you to view true to life images and access your digital files with clarity. Speed through work and assignments with an Intel Core i7-720QM Quad-core processor with a speed of 1.6GHz that quickly launches apps, allows fast web browsing, and efficiently manages long battery life. It has 4GB DDR3 RAM memory to deliver superb performance even during intense multitasking. It also comes with 180GB SSD storage capacity that gives enough storage space for storing and retrieving your critical data whenever needed. It is equipped with Windows 10 Home 64-bit, which helps you experience a complete user friendly interface and enhance performance & productivity of your business and work. So, what are you waiting for? 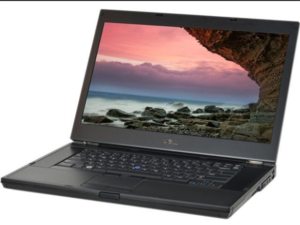 Purchase the Dell Latitude E6510 15.6″ Laptop PC at only USD $249.99!